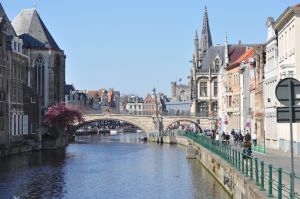 A profile of the City of Ghent (Belgium) published by the Global Lead Cities Network on Sustainable Procurement outlines how the city’s Procurement Strategy allows it to use its purchasing power to meet strategic goals. The Procurement Strategy aims to minimise the city's ecological footprint throughout the entire life-cycle of the purchased product or service, encourage sustainable employment of disadvantaged groups, promote sustainable innovations, foster local economic growth, integrate international labour standards and fair trade principals, and strive towards excellence in procurement. The profile additionally looks at Ghent’s future procurement plans in a range of fields, such as logistics and fleet management, cleaning products, public lighting, and energy efficiency and building renovation. The Global Lead City Network on Sustainable Procurement is a group of cities committed to drive a transition to sustainable consumption and production by implementing sustainable and innovation procurement. All participating cities act as ambassadors of sustainable procurement to lead the transition to resource efficient, low carbon and socially responsible societies.